Along with its enormous success, Facebook has a giant, growing TMI (too much information) problem: how to help its almost one and a half billion users sort through the onslaught of news reports, photos, messages, and posts generated on the social network around the world every day. One answer is artificial intelligence. Facebook already has two AI teams in the U.S. and on Tuesday it announced that it is establishing a third AI site, in Paris. The new site will help ramp up efforts, begun a little over a year ago, to develop AI-based image recognition, natural-language processing and speech-recognition applications, Facebook said. By providing better ways to sort through the trove of information people deal with on the social network, users should be able to more effectively communicate with friends and family, the company said. The researchers in Paris will also work with the teams in Menlo Park and New York on projects related to the physical and logical infrastructures needed to run AI systems, the company said. In addition to improving existing features, Facebook hopes that the research teams will come up with entirely new ways to connect and share on the network. 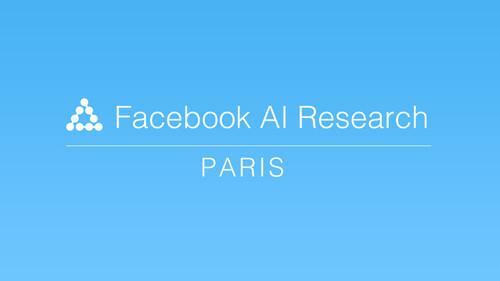 Paris was chosen as the company's third AI site because it is home to some of the best researchers in the world, Facebook said, adding that it expects the team will bring new perspectives to the company. Facebook also has an agreement with science and technology institution INRIA in Paris, an arrangement that will open up new opportunities for students and research professionals, it said. The company's overall AI research efforts are headed by Yann LeCun, who also is a professor of computer science at New York University (NYU). He was hired in 2013 to focus on machine learning, a branch of AI involving computers that mine information from vast data sets. In the long term, Facebook expects the team in Paris to grow to between 40 and 50 people, roughly the size of the teams in the U.S., a Facebook spokeswoman said. Six people have been hired in Paris, and the team's size should double by the end of the year, she added.